Don (Spokane, United States) on 22 March 2019 in Cityscape & Urban. 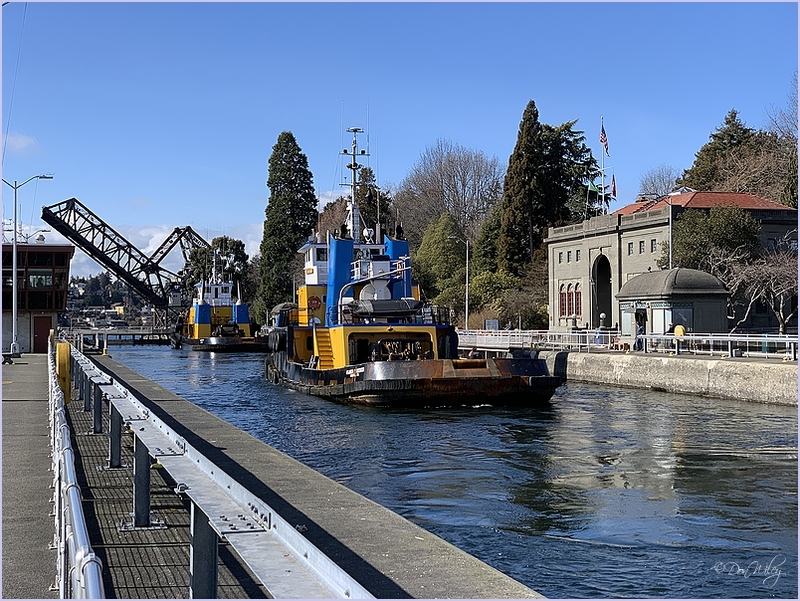 Officially known as the Hiram M. Chittenden Locks, the Ballard Locks is one of Seattle's most popular tourist attractions, especially during the sunny months. The grounds feature a fish ladder. Excellent look at this tug going through the locks. It would be interesting to watch. wow...wonderful water here and the reflection here ! A beautiful shot of the boats in the locks. A spectacular view of these interesting locks. The boats have great color! excellent lines, and the blue and yellow are striking. I wish the boats were facing the camera rather than their rear ends.